The project proposes to think about the so called internationalization of the art world after 1989 marked by a proliferation of biennials dedicated to displaying international art developments and paralleled by changes in the world market under globalization. We will consider institutional, political, and exhibiting structures that mediated the origination of ‘regional art’ as a dominant epistemological tool for situating the notion of contemporaneity into factual spaces and social situations. The project particularly focuses on the notion of Eastern European Art as a designation that in its very wording contains the internalization of the Western gaze. It is, as such, less a sign of a distinction than of hierarchy. ‘Eastern-European Art’ is part of an ideological construction called the post-communist condition. Within this ideological frame, communism is represented as a phenomenon at odds with Western modernity – a representation buttressed by colonial topoi such as ‘insufficient development’, ‘belatedness’ etc. We will be looking into how the term ‚Eastern European Art’ came about; and we will examine how it was re-instated within the context of a ‘politics of New Europe’ after the fall of the Berlin Wall and with the erasure of communism from the horizon of realpolitik. ‚Eastern-European Art’ will thus be used as a template or a case study for other identitarian denominators of multiculturalism. We will use it in order to analyze how a post-1989 optimism with regard to a decentralization of Western paradigms in order to establish multiple temporalities and local modernisms did not, in fact, lead to the breakdown of cultural hierarchies. While the Western canon was replaced by a global international canon, power relations were kept more or less intact. These debates will be framed by discussing the history of exhibitions and of curating and exhibition making as practices of cultural translation. Our understanding of translation will follow Homi Bhabhas proposal to think of and with translation as a way of critizising multiculturalist ideology that, while promoting different cultures, still rests on a conception of unique, essential cultural identities. We will particularly consider practices that include perspectives of equality, a notion often neglected by post-colonial studies’ insistence on plurality. There will be a core text for the lecture class, if you want to read it before the meetings, contact freycha(at)icloud.com. This entry was posted in LEHRVERANSTALTUNGEN, SoSe 2017 on March 12, 2017 by admin. In this workshop, we will set up an exhibition in the physical space of the ‚theory and practice of visual communication’. 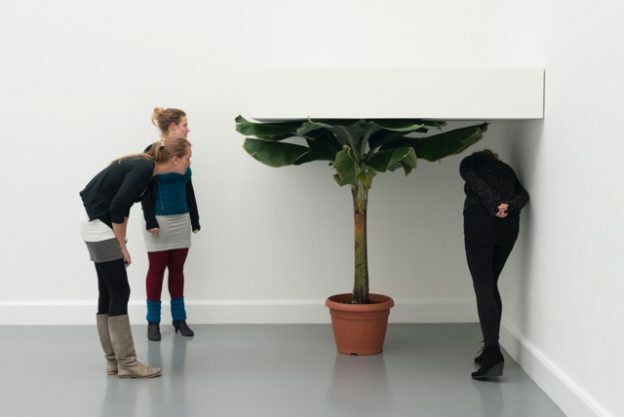 (Part of the workshop’s Part 1 will be everyone presenting 1 – 3 own works to the group – be prepared for tough time regulations for this round of presentations – and a common visit to the documenta.) We will use ‚translation’ as a key concept to mediate between different art works and different visual/material practices – our own practices and other practices that we will refer to explicitly within the exhibition space. The workshop will be held in English and German. Individual coaching for students, nach persönlicher Vereinbarung. Bilder entstehen aus einem Netzwerk von Akteuren, technologischen Abläufen, Vorstellungen, Blicken und Begehren. Sie sind als Träger von Bedeutung und als materielles Produkt tief in unsere sozialen Gefüge eingebettet. Das Visuelle orientiert und per-formiert unsere Körper und Wahrnehmungsweisen, hat Teil an Hierachisierungen, Ordnungsprinzipien und deren Überschreitungen. Wir lesen und berühren Bilder, wir sliden, scratchen, scrollen und gehen identifikatorische Bündnisse mit ihnen ein. Und doch bedeutet Wahrnehmung im digitalen Zeitalter schon längst nicht mehr nur menschliche Wahrnehmung. Maschinen verarbeiten Bilder. Körper werden darin zu Datenquellen, getrackt und inkorporiert. Was würde es heißen, Herstellungs- und Wirkungsweisen digitaler Visualität selbst performativ zu untersuchen? Welche Formen der Unterwerfung, oder auch der transgressiven, queeren, Cyborg-Materialitäten lassen sich darin ausmachen? Was ist ein Tableau Vivant, was eine körperlose Kamera und ein blickloser Körper? Das Seminar möchte grundlegende Verbindungen zwischen Körper, Medialität und Performance untersuchen. Dabei interessiert es sich für einen Handlungs- und Performativitätsbegriff, der menschliche und nichtmenschliche Akteure miteinbezieht, neu hierarchisiert und umkodiert. Wir werden viel praxisbasiert forschen, Denk- und Bildformen physisch ausprobieren, nachstellen und unsere Körper dabei selbst zu Medien werden zu lassen. 18.4., 2.5., 23.5., 6.6., 20.6., 4.7. This entry was posted in LEHRVERANSTALTUNGEN, SoSe 2017, Uncategorized on March 12, 2017 by admin. Anlässlich der B.Braun Stipendien-Ausschreibungen für künstlerische Abschlussarbeiten werden wir diskutieren: wie bewerbe ich mich um ein Stipendium? Wie lese ich eine Ausschreibung? Wie sieht ein CV aus? Wie ein Portfolio? Wie ein Anschreiben? Als Gast wird zu Beginn der Veranstaltung Isabelle Schulze dabei sein, die u.a. das B.Braun Stipendium an der Uni Kassel administriert. This entry was posted in LEHRVERANSTALTUNGEN, SoSe 2017 on March 3, 2017 by admin.